Roatan offers some of the best, most affordable diving in the Caribbean. The largest of the Bay Islands, Roatan is situated on the southernmost edge of the Mesoamerican reef, which is the second largest barrier reef in the world, and at the edge of the 12,000 ft Cayman Trench. It's fringing reef system is only moments from shore and offers a wide variety of diving including steep walls, sloping reefs, canyons, wrecks, caves and swim-throughs as well as an amazing variety of marine life. With over 180 dive sites served by over 40 dives centers and resorts across the island, divers really are spoiled for choice with something for every taste, style and budget. Since dive sites are so close to shore, boats typically run 3-4 dives a day and come back in between dives. This offers you a lot of flexibility when it comes to your diving schedule and gives you a chance to spend surface intervals enjoying the topside charm of Roatan. 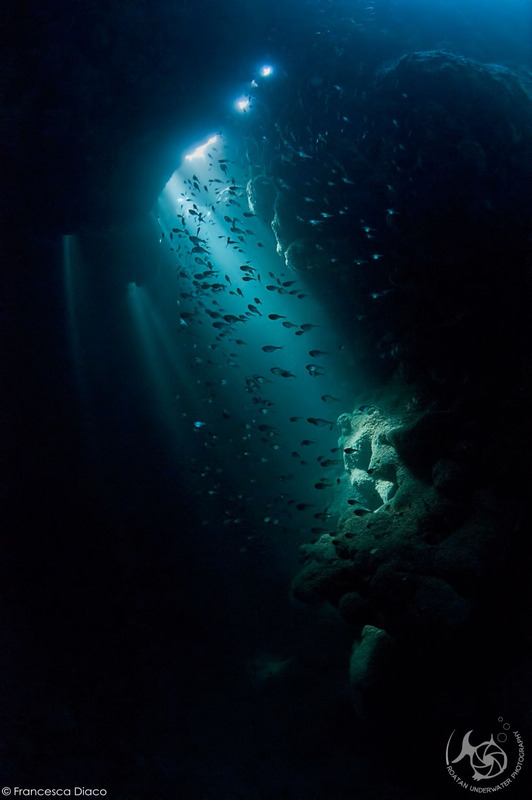 Some dive operators run two tank dives as a policy, or if they are diving a bit further away from their local area, which may provide opportunities for unexpected encounters with dolphins or the occasional whale shark. These calm, clear waters are home to a wide array of marine life and stunning coral reefs. Bigger subjects include dolphins, sharks, eagle rays, moray eels, and large grouper...and there are always plenty of turtles to be seen. There is also a diverse population of reef fish including angelfish, butterflyfish, spadefish, trunkfish, pufferfish and so much more. An exciting variety of macro life also awaits including seahorses, frogfish, reef squid, blennies, flamingo tongues, various shrimp and crabs, jawfish, gobies, nudibranch and much more. Click here to see Francesca Diaco's feature on Roatan in Wetpixel's Full Frame. 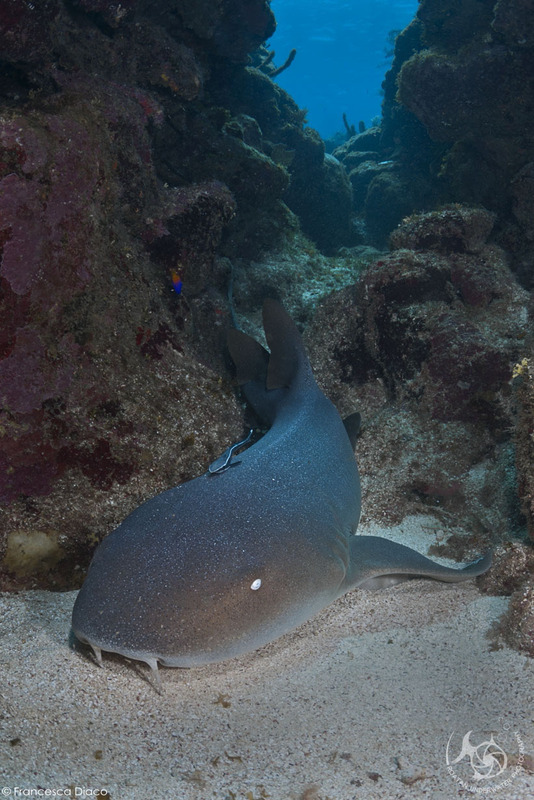 And click here to read Francesca'a article on DivePhotoguide, An Underwater Photographer's Guide to Roatan. Conservation and protection also play a big role in Roatan’s dive culture thanks to The Roatan Marine Park (RMP), which was formed by a group of local dive operators and businesses in 2005. This not-for-profit, community based organization has protected the government sanctioned marine reserves, including the Sandy Bay-West End Marine Reserve and Cordelia Banks, and has worked to prevent over-exploitation through unsustainable fishing practices. The RMP also works tirelessly in the community to educate and raise public awareness of conservation issues that threaten Roatan’s natural resources. 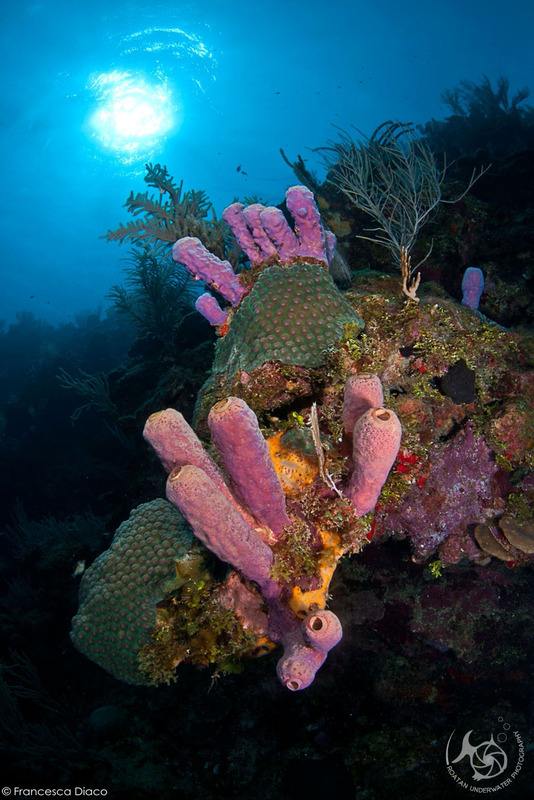 Divers can participate in conservation efforts through buying a RMP user badge or wrist band at their dive center or resort, purchasing goods in the RMP eco-store located in the West End, and through sponsorship donations including funding/naming a new dive site mooring. To learn more about the RMP and how you can get involved, please visit their website. If you have any questions about the diving in Roatan or how we can help you plan the perfect dive trip, please get in touch. We do have preferred partner dive centers throughout the island who will better accommodate your training and underwater photography needs. The benefit in booking with us is that we will recommend the best place to suit your travel preferences, diving style and underwater photography training needs as well be able to secure your place on our training schedule. Please contact us for more information. LET US HELP YOU PLAN YOUR TRIP! WE can book and plan your entire week...Your VACATION STARTS NOW!